Tomorrow is Shrove Tuesday and for lots of us that means one thing – pancakes! I’ve used the same pancake recipe for about 30 years now – gosh that makes me feel old but I did start cooking at a young age! A couple of months ago Boy (aged 7) and I made up a huge batch of these pancakes to test some maple syrups I’d been sent to review. Once we’d had our fill of maple syrups, I craved a pancake with the traditional British filling of butter, sugar and lemon juice. Alas! No lemon juice in the fridge and no lemons in the fruit bowl! Then I remembered the lemon syrup I’d made at Christmas. It turns out serving this on pancakes is a match made in heaven! Mr Vohn looked on enviously, as he’d already finished his pancakes – I laughed and reminded him I always say he eats too fast! He was even more gutted when he realised there was also a jar of homemade boozy spiced orange syrup sitting there in the kitchen! 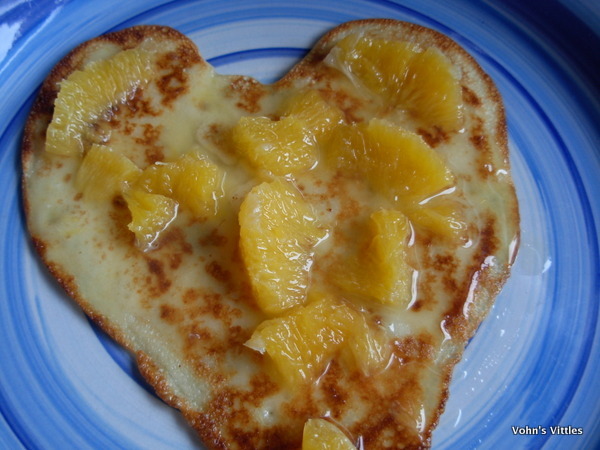 So, yesterday I made up another batch of pancakes so Mr Vohn could try the citrus syrup/pancake combo and, oh yes, he agrees – a divine pairing. I added a little freshly chopped mint to mine to give it extra zing! 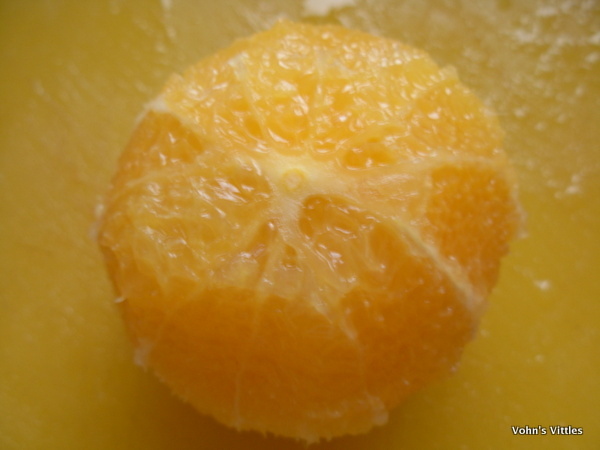 1) Wash oranges in warm water. Cut off the top and bottom. 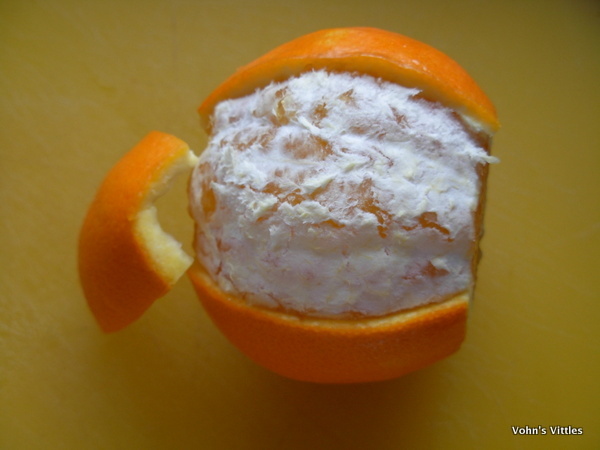 2) Score a cut into the orange peel, but not into the flesh, at various points around the orange so that you can gently peel off sections of peel. 4) Place the peel into a pan, cover with cold water, bring to the boil and simmer for ten minutes. 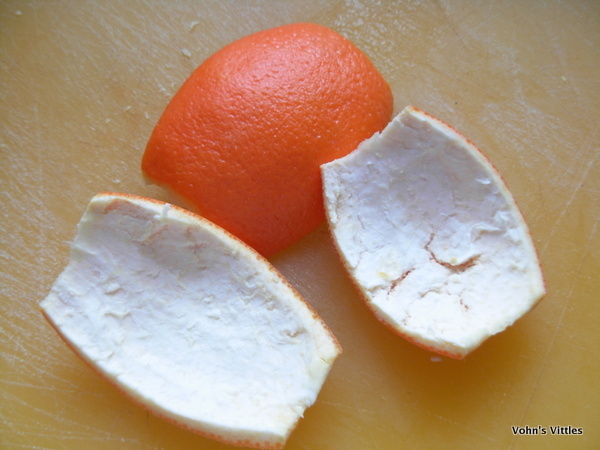 Drain and rinse the peel and then repeat this process a further two times. This removes any excess bitterness. 5) Place 350g sugar and 200ml water into a wide shallow pan – I used my frying pan. Cook over a low heat until the sugar has melted. Increase heat, bring to the boil, add peel and turn heat down to simmer gently for one hour. If sugar crystals form on the sides of the pan, brush them down with a wet pastry brush. 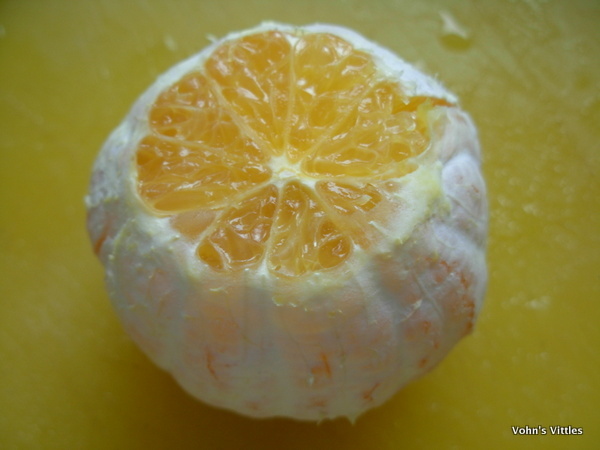 6) Meanwhile take the peeled oranges and cut off the remaining white pith. 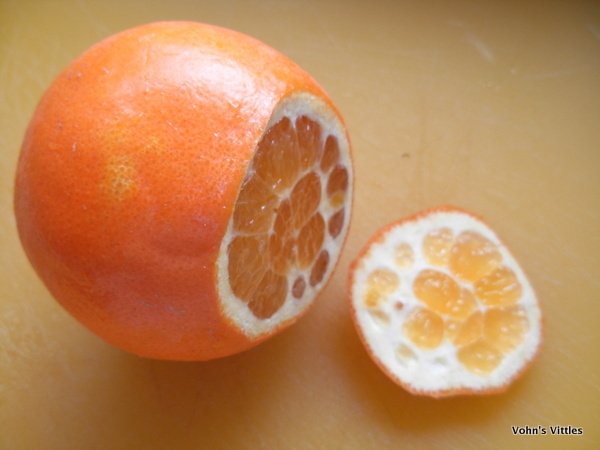 Then cut out segments of fruit by cutting between the membranes. 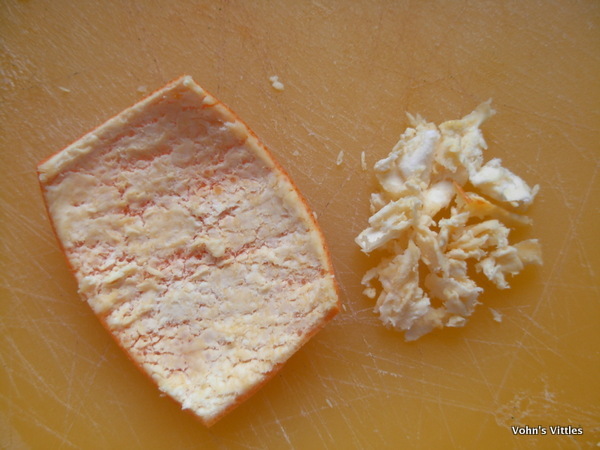 Once segmented, squeeze the remaining membrane to yield as much juice as possible. 7) Remove peel from the sugar syrup – this is the candied peel and can be left to dry on a baking rack for a few days, then stored in an airtight container. 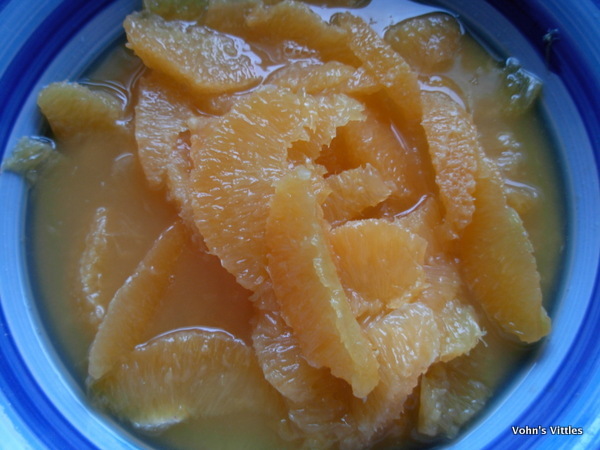 Add the juice from the oranges to the sugar-syrup and simmer for ten minutes. 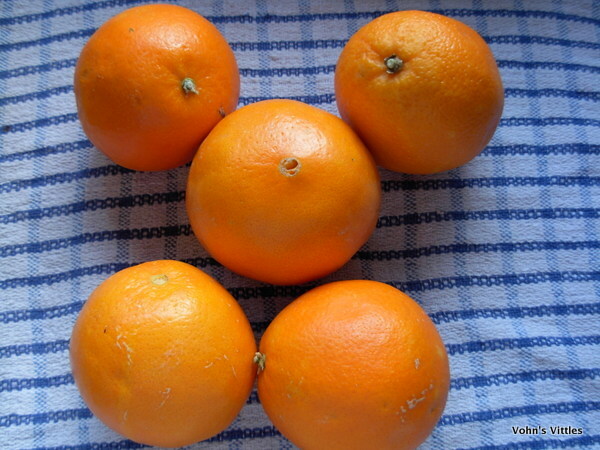 Place the orange segments in a sterilised jar, pour over the sugar-syrup and add the liqueur and spices. Mix together, leave to cool and then store in a cool dark place. This is a nice recipe to experiment with – you might like to try different citrus fruits, different alcohols and different spices. 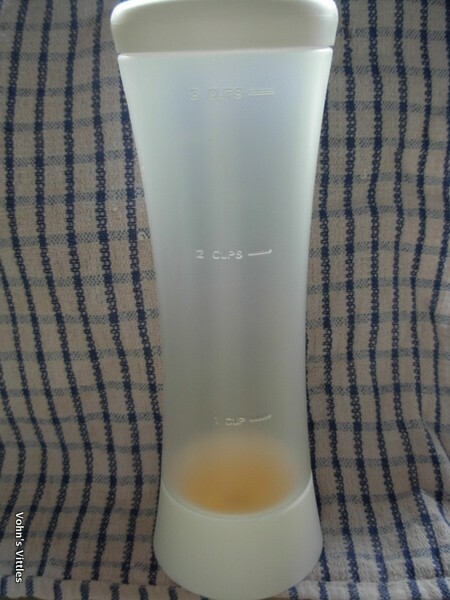 I also made a lemon syrup but wanted it to zing with fresh lemon, so didn’t add any liqueur or spices to it. Mr Vohn likes the boozy oranges on his pancake. Yes I did go all soppy and make him a heart-shaped pancake! 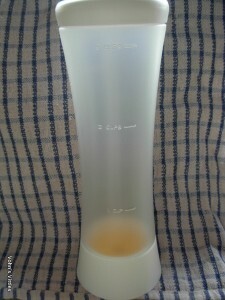 OXO UK had sent me their new pancake batter dispenser to test out and I found it is great for making shaped pancakes. 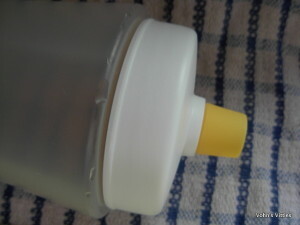 Simply fill the dispenser with your pancake batter (it has a nice wide neck to make this easy) and squeeze to dispense the batter. The special valve stops the batter coming out as soon as you stop squeezing, so there are no drips! Using the batter dispenser makes it easy to create outlines of shapes in your frying pan and then infill the shape with more batter. It also has a handy stand, with a flat base, so you can store any unused batter in the fridge. I really liked the dispenser for the ease in making shaped pancakes and it’s great for making small thick Scotch pancakes, or drop scones. I didn’t like using it to make larger crepe-style pancakes as I found it difficult to tilt the pan at the same time as dispensing, so they ended up too thick. OXO also say it is great for filling muffin or cupcake tins – I haven’t tried this out yet but reckon it’d be ideal for avoiding those pesky spills which burn – of course your mixture would have to be smooth enough to dispense. My own preference for the pancakes and syrup was larger thinner crepe-style pancakes with my homemade lemon syrup and a scattering of freshly chopped mint leaves. If you would prefer a savoury pancake, then check out the awesome Chilli Beef pancakes that I made for pancake day last year. Mr Vohn has requested these again this year, so we’ll be having them tomorrow night for dinner. To continue our quest for healthier eating this year, I’ll be adding a lot more veg to them and hopefully I’ll be doing a better job with the photos too! So tell me, dear reader, will you be having pancakes this week and will you be going savoury or sweet? I love making homemade syrups. 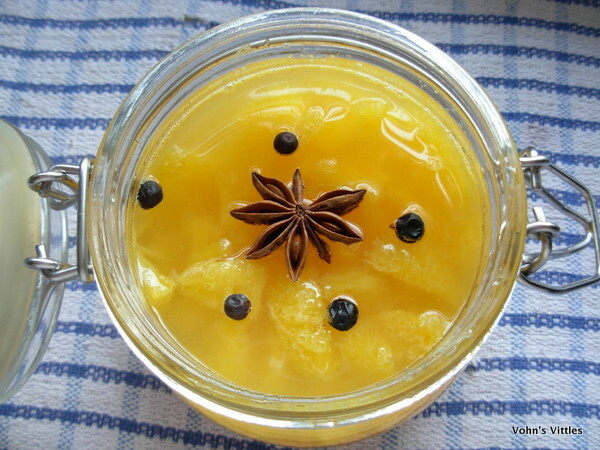 Your recipe looks very easy and I like the idea that it is flexible so you can use the fruits in season. The Boozy Spiced Orange Syrup is wonderful to serve with brunch or on a pound cake for dessert, yum! Love this! It looks like it will wake you up in the morning. Pinning! You made pancakes boozy. I love you. Wow, looks amazing! I think making syrup would be totally fun! Great recipe – and one you can use for more than just pancakes, of course. There’s a host of sweets that this would be great for. Boozy oranges on pancake sounds great! Your citrus syrup looks delicious. 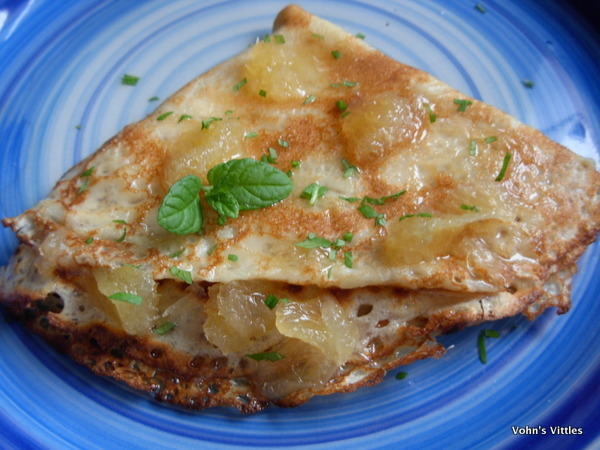 I love crepes with lemon and sugar and would really enjoy eating this. Am bookmarking this recipe. Beautiful photo too.